Do you still remember what was fun about your Science subject in school? Wasn’t it the lab where you got to do experiments, build things and make things explode? Didn’t you wish that there were more practicals and less theory memorisation? Fast forward to today, that wish has been granted! Though not really a school, Engineering for Kids provides just that! With its origins in the US, Engineering for Kids offers after-school programs that introduce Science, Technology, Engineering, and Math (STEM) to kids as young as 4. It offers programs that let children learn about STEM through real-life problems and applications. 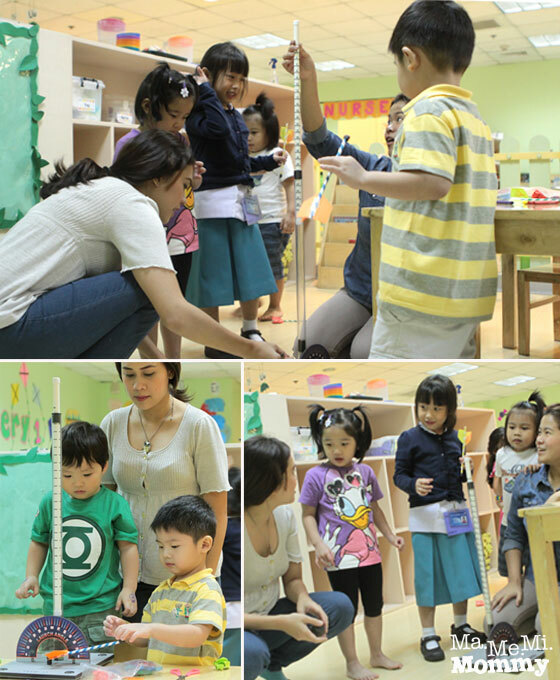 We were fortunate enough to be invited to a free trial of Engineering for Kids at Cambridge Child Development Centre in Greenhills. 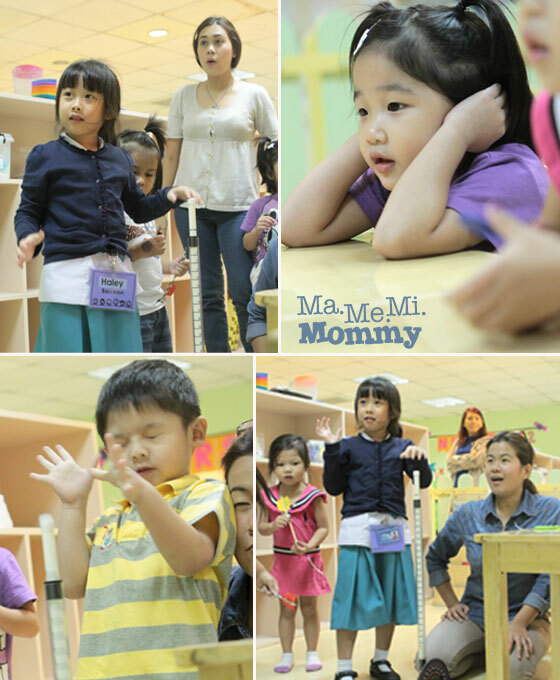 The class was composed of 6 students with ages ranging from 2.6 to 5 years old. It was roughly an hour long and the topic was Aerospace Engineering where the kids got to build their own rockets. How exciting! There were two teachers in the class of 6, teacher Micky and teacher Tats. 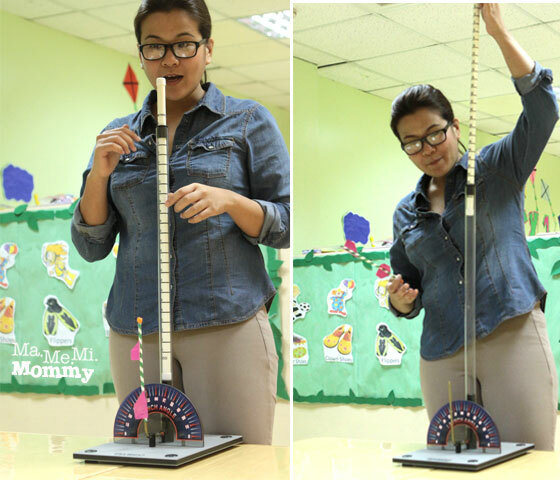 To get the kids interested, Teacher Tats brought out her nifty-looking rocket launcher and made a demo of how to make a “rocket” fly with just the push of air. She then proceeded to identify the parts of the rocket for the kids (and me!). Here’s a closeup of the launcher and the rocket. 3.5-year old Andrew was quick to answer questions and volunteer. 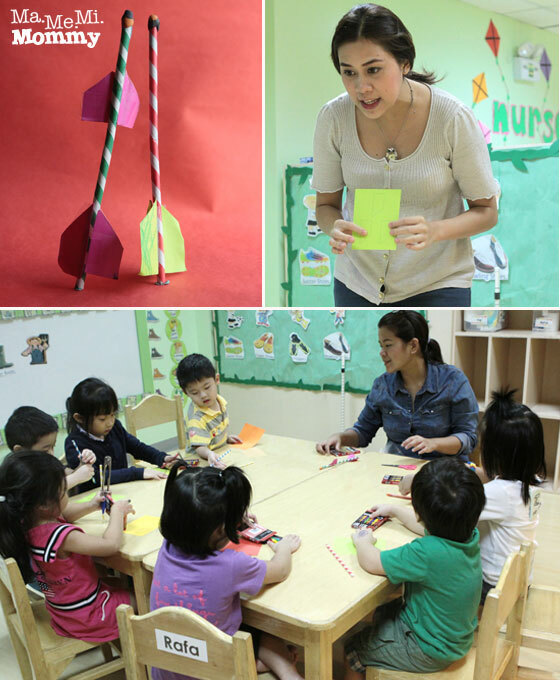 The kids were given a chance to make their own rockets with straw, paper, and clay. They were each given a sheet of paper with the fins of the rocket to colour and cut. And so they made their rockets’ fins look nice and colourful. And then they cut them out. The younger kids needed help on this. 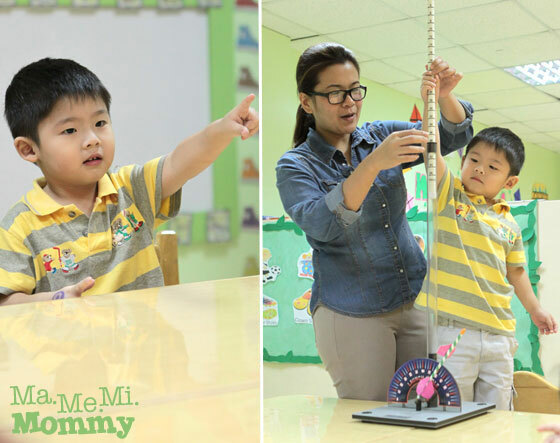 The teachers were quick to assist the students whenever they needed help. 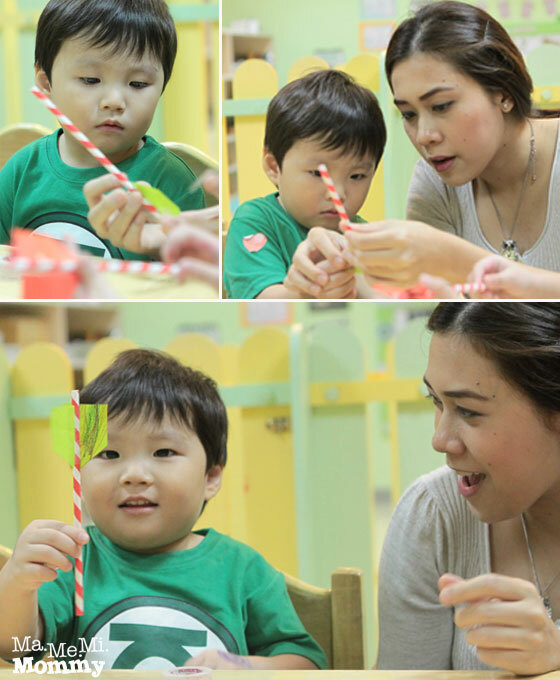 Here, teacher Micky helps Ky in taping the fins to the straw. Now to the fun part! They got to launch their rockets! The kids had a blast taking turns letting their rockets fly. 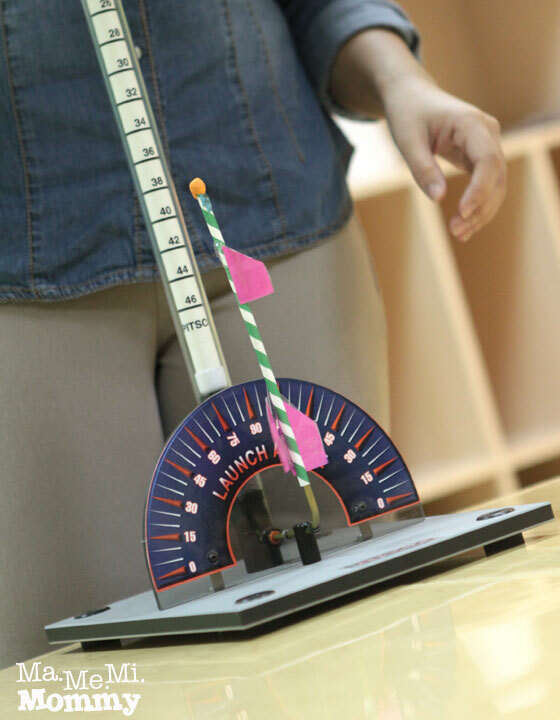 Whenever something went wrong, like if the rocket did not fly or it did not go very far, the teachers would explain the reason and provide remedies. 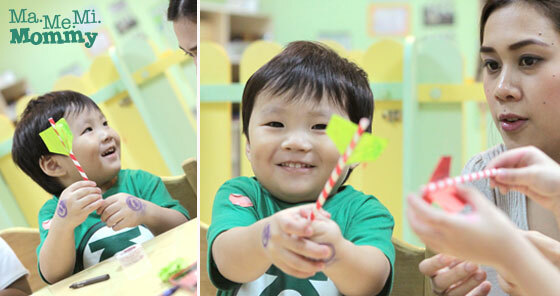 Look how happy this boy was with his rocket! It would have been nice to have an intro first of rockets, like a video to orient the kids. Or better yet after, so that they can associate what they did to the real thing. There were kids as young as 2 in the class. I think the older the kids are, the more they’d appreciate the science part of the whole thing. 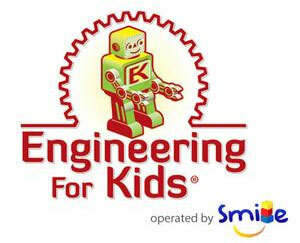 If you’re interested, Engineering for Kids is offered at Cambridge Child Development Centre- Greenhills. Contact details below.